Average daily FX turnover in the UK hits new highs in April according to data from the Bank of England. A surge in foreign exchange (FX) swaps trading has led to a new average daily trading record in FX turnover in the UK, according to research from the Bank of England. The semi-annual research showed that average daily reported UK FX turnover stood at $2,727 billion in April, exceeding the previous record of $2,711 billion set in October 2014. Most notably the Bank of England said that FX swaps contributed the largest absolute increase to overall FX turnover, with volumes up $241 billion in April to $1,398 billion representing an 18% increase from six month prior. 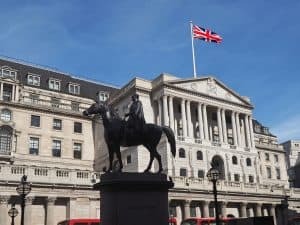 The Bank of England used data from 28 major financial institutions actively trading FX in London, including JP Morgan, Barclays, Credit Suisse, UBS, Morgan Stanley, Goldman Sachs, HSBC and Bank of America Merrill Lynch. In April, GDP/USD turnover increased 18% compared with October 2017 data with a record high average daily turnover of $351 billion. EUR/USD and USD.JPY also increased during the analysed period by 11% and 13% respectively. Similarly, the New York Federal Reserve released the results of its semi-annual FX trading volumes survey for North America in collaboration with the Bank of England. The research showed average daily trading volumes in total over-the-counter (OTC) FX products was up 5% in April to $993.8 billion. Volumes surged across several instruments, with spot, forward, and OTC options turnover up by 9%, 6% and 5.6% respectively. However, swap volume decreased slightly by 0.6% in April this year, compared to data from the previous survey in October 2017. The Federal Reserve analysed data from 21 financial institutions including Citigroup, Deutsche Bank, Goldman Sachs, JP Morgan and State Street.